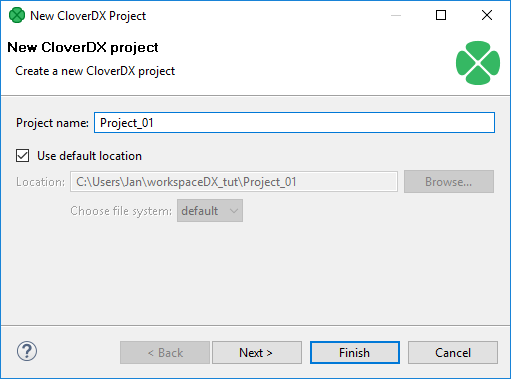 We assume that you have downloaded and installed CloverDX Designer. 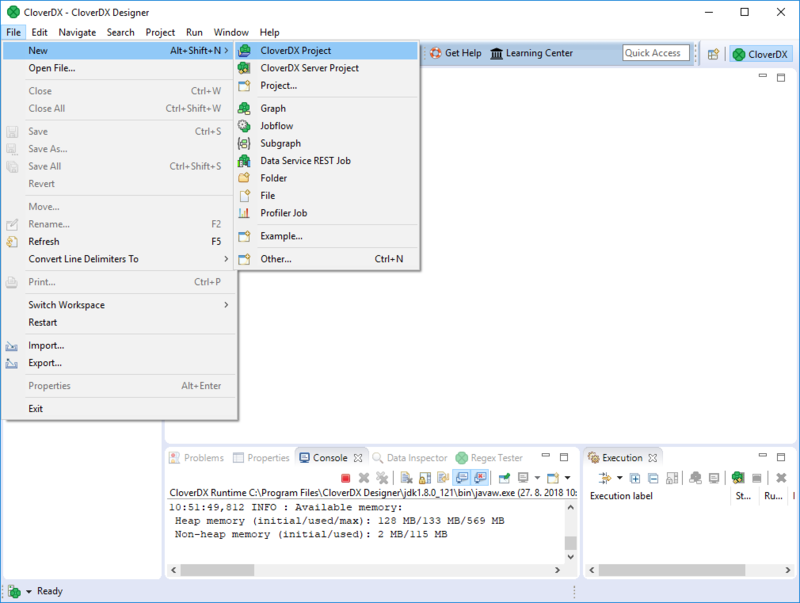 Type the name of the project, e.g. Project_01.